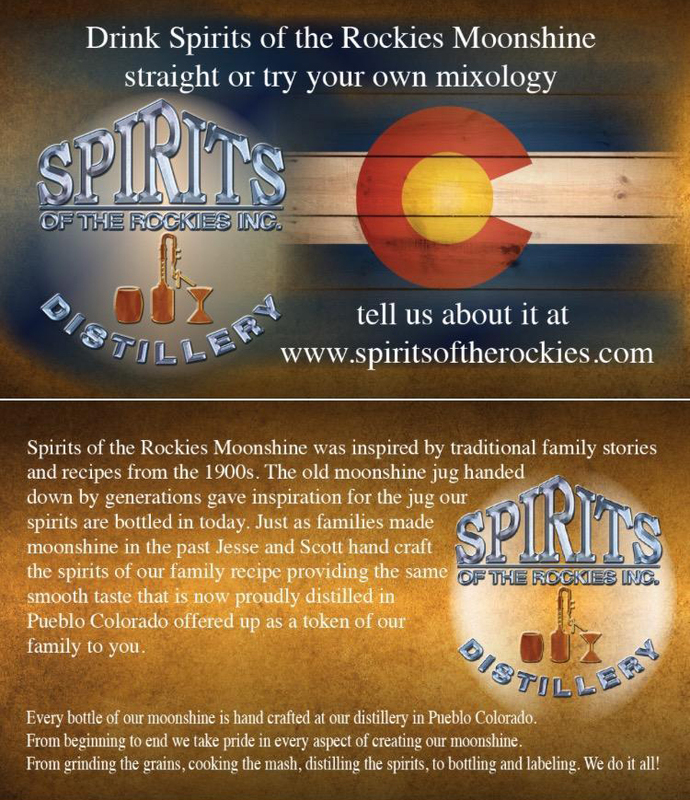 Spirits of the Rockies Moonshine was inspired by traditional family stories and recipes from the 1900s. The old moonshine jug handed down by generations gave inspiration for the jug our spirits are bottled in today. Just as families made moonshine in the past Jesse and Scott hand craft the spirits of our family recipe providing the same smooth taste that is now proudly distilled in Pueblo Colorado offered up as a token of our family to you. Every bottle of our moonshine is hand crafted at our distillery. From beginning to end we take pride in every aspect of creating our moonshine. From gringing the grains, cooking the mash, distilling the spirits, to bottling and labeling. We do it all! Spirits of the Rockies is the first legal distillery in Pueblo, Colorado. It is owned and operated by Scott Farmer and Jesse Dauenhauer. For more information or to schedule a visit contact us here.